An all out strike began this morning in the Public Transport Authority Bus Garages after the failure of management to meet their demands which include a raise in incentive pay to 200%. 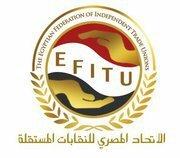 The union suspended its strike action Sunday to allow management an opportunity to meet this demand, and management did in fact, promise that Safwat Nahhas [President of the Public Transport Authority] would issue a decision approving the rise in incentive pay from Tuesday 20 September. But although the president of the Public Transport Authority commented in his statement that he agreed to the rise in incentives, he made different statements to the media saying that the matter was still under negotiation. Today agents of the security services went to the bus garages in an attempt to arrest the leaders of the independent unions but the workers repelled them. The executive of the independent union is currently in negotiations with the Public Transport Authority management and the strike is continuing in the garages. September 21, 2011 in Egypt, Statements, Strike reports, Transport.